If you're headed out shopping this weekend, don't forget your coupons. From now through August 11th you can use the Buy one get one FREE Yankee Candle Coupon and enjoy 2 candles for the price of one. 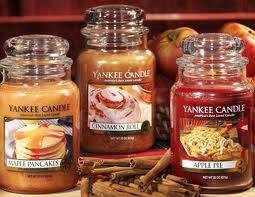 Yankee Candles are some of my FAVORITES. I can't wait to check out the NEW fall line. I hope that they still carry my all time favorite, Harvest!